Frankenstein: THE TASK: HELP WANTED! As you probably know, on 25th October we are receiving a group of performers called THE STAGE COMPANY at school. 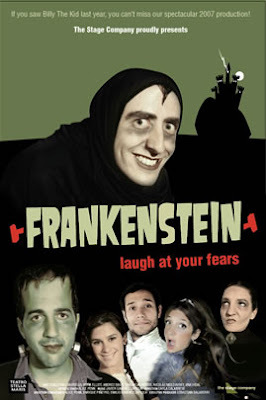 The musical we are enjoying this time is "Frankenstein - laugh at your fears". This is an invitation to share this blog in order to collect as much information and details about the novel "Frankenstein" and its author. STEP 1: We´ll divide into groups in class. STEP 2: Each group will be given a different task to complete and publish in this blog. STEP 3: We´ll all be able to read, complete and profit from the information posted by each group. Hope it´s useful for us all.